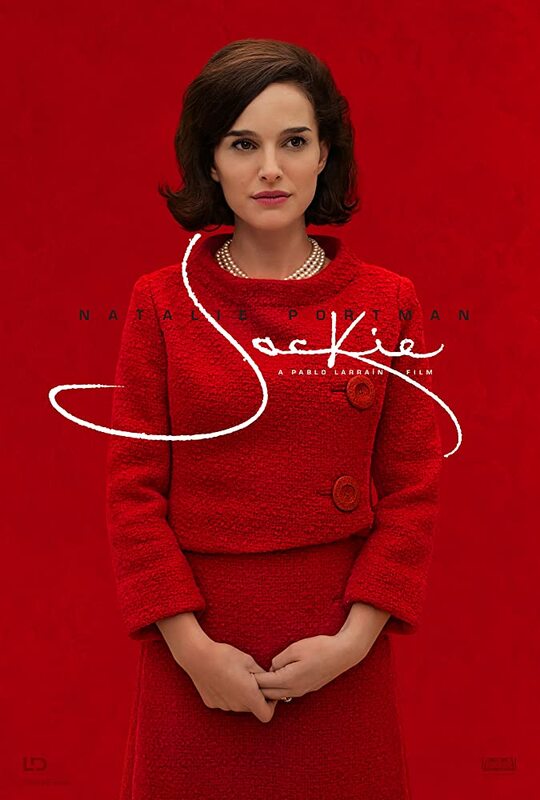 THE REVIEW: As I try and work my way through a bunch of Oscar nominees before the ceremony on February 26, Jackie made my list for Natalie Portman’s performance as the titular Jacqueline Kennedy, nominated for Best Actress. While she does deliver a tour-de-force performance, there really isn’t much else to like about the film. Biopics can be seemingly hit or miss for me: either they are informative and gripping, or rote and boring. Jackie did highlight some new information about the Kennedys and JFK’s assassination I hadn’t know about (mostly from other films), but did so in a mostly haphazard, disjointed, and confusing way. Jackie’s tour of the White House, while interesting, doesn’t seem to fit in with the rest of the film’s focus. The highlight — and arguably the draw to the film — is President Kennedy’s assassination, his funeral, and how Jackie handled it. For such a vital piece of the film, it seemed to drag on for much longer than it should have. Not to say planning a funeral should have a built-in conflict or be “exciting” per se, but the way director Pablo Larrain handled it — mixing an interview with a reporter and talk with a priest (John Hurt, RIP) — was the haphazard part. It mixed time frames unnecessarily and created more questions than it answered. One of the reasons I like biopics is to be informed, and to learn in a thrilling and exciting way. Jackie is a film where there was a lot to learn, but most of the opportunities to make connections and actually take something away were lost on me. Even Portman’s performance, while great, also wasn’t phenomenal, which also failed to deliver as good of a biopic that could have been made. Overall, I give this film a general skip with a few minor exceptions. Portman’s performance is indeed good enough to warrant a Best Actress nomination, although I don’t think it was enough to earn her a win (even if she is currently tied for the lead). And of course, my usual disclaimer of if you are a history buff and either know something about Jackie Kennedy or would like to see history from a different light, then you might find some minimal enjoyment out of Jackie. Otherwise, devote your attention to some of the other nominees for this year.